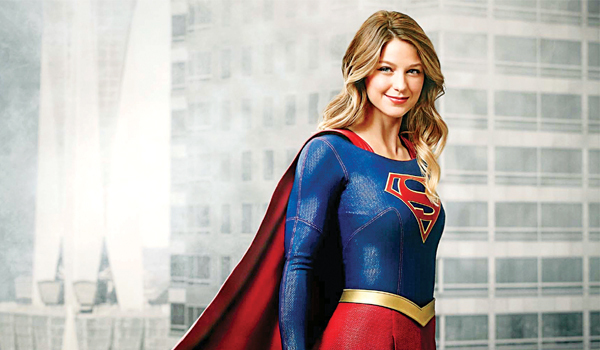 Actress-singer Melissa Benoist has always been a sci-fi fan, so getting to play Kara Danvers, the equally powerful cousin of Superman from the Krypton planet, on the Supergirl series is a a�?dream come truea�?.The 27-year-old former Glee actor tells us more about Supergirl, which won the New TV Drama award at Peoplea��s Choice Awards 2016, and is set for its Indian preimere on Monday. Your first time with the Supergirl suit. I felt like I was on top of the world. Ita��s impossible not to feel this internal shift of strength and bravery. When I put it on, therea��s a transformation almost to the point where I dona��t recognise myself. I grew up as a dancer, so the costume feels like the leotard and tights that I wore when I was a ballerina. Whata��s impractical is the fact that mine has a corset, which is sometimes a pain. Did you try to bring some grace from your background as a dancer to the stunts? Of course. When you look at Superman, hea��s a very solid character a�� but I like the idea of bringing fluidity to Supergirl, and a sense of femininity to her strength. Comic books you enjoyed as a kid. I wasna��t much of a comic book reader until I started college. I loved Michael Keaton as Batman, though. I grew up on those movies. I quite enjoyed Lois & Clark. Ita��s crazy. He is such a nice guy, too. I couldna��t be more blessed. Would you agree that Supergirl is a story about identity and being comfortable with your power as a woman?